Disclaimer: The following list is a tongue-in-cheek parody, and can be as much thought of as a list of things not to do. The items in this list were all suggested by genuine Virtupets employees. I conducted all the interviews anonymously, and I'm very bad with faces, so there's no point trying to find out who said what. Finally, I'd like to impress that Dr. Sloth is a great person, deserving of our utmost respect. Needless to say, attempting to carry out anything from the following list is probably a very bad idea. 1. Use phrases such as "Frankly..." and "If I'm quite frank...", with emphasis on "frank". 2. Hit him on the head with a copy of the Neopian Times. 3. If he reacts badly to number 2, say, "Sorry, I thought you were a sock!" 4. Call him "Slothy" to his face. 5. Ask him why he hasn't managed to conquer Neopia yet. 6. Dress up as him and start ordering his Grundos about. 7. When the real Dr. Sloth turns up, insist that he's the impostor. 8. Say that you find him adorable. 9. Tell him to get a haircut. 10. Whenever he comes up with a new plan for invading Neopia, start tutting and say, "Honestly, what would your mother say if she could see you now?" 11. Draw a series of comics featuring him being humiliated by the Space Faerie. 12. See which of your comics gets the best reaction from his underlings, then blow it up and tape it to the wall behind his throne. 13. If he catches you doing number 11 or 12, say the Happiness Faerie told you to do it. 14. Use "the Happiness Faerie told me to do it" as an excuse for anything on this list. 15. Tape a "hug me" sign to his back. 16. Paint his throne room pink. 17. Ask him, "Are you feeling all right? Your eyes look a bit bloodshot." 18. Tell him he clearly has an anger management problem and should go see a psychiatrist. 19. Ask him what kind of Neopet he is. 20. Paint a smiley face on the back of his robe. 21. Ask him for a raise. 22. Make fun of him for being "beaten by a girl". 23. Ask him, "Are you feeling all right? You look a little green." 24. Avoid using the word "green" at all costs when in his presence, to the point of having to say things like "the opposite of red" or "bluish-yellow". 25. Ask him if he was having a bad day when he designed the mutant Gnorbu. 26. Use "sloth" as a synonym for "laziness" whenever you can. 27. Imply that your Chia could stage a more successful take-over of Neopia than he ever could. 28. Ask him if he took his style tips from the Happiness Faerie. 29. Write a list of 101 ways to annoy Dr. Sloth and distribute it among his workforce. 30. Write a list of 101 ways to annoy Dr. Sloth and have it published in the Neopian Times. 31. Ask him repeatedly why there's no Poogle transmogrification potion yet. 32. Tell him he really needs to sort out the red-eye in his publicity photos. 33. Be the Space Faerie. 34. Ask him if he's really just an oversized Grundo. 35. Attempt to "test" his immortality. 36. Repeat everything he says as if you were the backing singer in an opera. 37. Interrupt one of his "resistance is futile" speeches. 38. Ask him why he even hired Gormos in the first place. 39. Hit him on the head with a list of 101 ways to annoy Dr. Sloth. 40. Tell him the Happiness Faerie told you to do it. 41. Foil his most ingenious and devious invasion attempt yet - through sheer dumb luck. 42. Even just mention Jhudora. 43. Refer to his clones as "chicken bots". 44. Replace all his blasters with replicas. 45. Make the replicas shoot green jelly. 47. After carrying out 44-46, do something to annoy him - in front of as many of his underlings as possible - then offer to fetch him a towel. 48. Tape a whoopee cushion to his throne. 49. Say that he really shouldn't be going around attempting to conquer planets at his "delicate age". 50. Imitate dramatic music whenever he says anything the slightest bit impressive or shocking. 51. Buy him some really girly makeup as a present, then act all offended when he doesn't wear it. 52. Create a sock-puppet replica of him and call it "Dr. Sock". 53. Give Dr. Sock a very egotistical, stupid, and irritable personality, and re-enact any and every story or comic in the Neopian Times that features Dr. Sloth. 54. Create a shrine to the Space Faerie in one of the male restrooms. 55. Especially if you're female. 56. Carry a fire extinguisher with you at all times "in case of burning robots". 57. Always fetch him the right coffee, except when he's having a bad day. 58. Suggest that he team up with Hannah the Usul for his next invasion attempt. 59. Use the words "head" and "chicken" in the same sentence. 60. Buy him lots and lots of wigs. 61. Ask him if he has a heart. 62. Call him pet-names such as "chickie" or "sweet-pea". 63. Ask him if he has two hearts. 64. Consistently pronounce his name wrong. 65. Call him "old bean". 66. Attempt to pat him on the shoulder if things don't go his way. 67. Compare his head to an unripened pineapple. 68. Introduce him to your Neopet, who just so happens to worship the ground he walks on. 69. 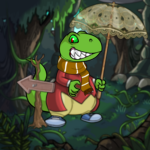 Introduce him to your other Neopet, who just so happens to hate his guts. 70. Start giggling whenever he moves. 71. Ask him when his birthday is. 72. If he tells you, throw him an extremely over-the-top "surprise" party every year. 73. If he doesn't, do it every week. 74. Add pepper to every single thing he eats. 75. Ask him if he likes gardening, saying you'd heard he has green thumbs. 76. Ask him to read you a bed-time story. 77. Refuse to carry out a direct order. 78. Ask him for his autograph. 79. Say, "You know, that Achyfi stuff isn't half bad." 80. Draw on his face while he's asleep. 81. "Accidentally" give Snarkie his personal phone number. 82. Imply that he has bad breath. 83. Compose him a theme song and insist on singing it before the start of every business meeting. 84. Beat him at Gormball. Fair and square. 85. Ask him questions about the Secret Laboratory. 86. Refer to him as a "big softy" while he's within earshot. 87. Imply that he is somehow related to Chiazilla. 88. Stare at the same spot on the side of his head until he eventually tires of it and asks what you're doing. 89. When this happens, ask, "How do you even hear?" 90. Call him a negg-head. 91. Try to guess what the "L" in his middle-name stands for. 92. Write a story or comic portraying him as anything other than a great and powerful leader. 93. Look and act sickeningly cute. Always. 96. Start applauding whenever he finishes a sentence. 97. Ask him why he's so obsessed with the Space Faerie anyway. 98. Give him a bad foot massage. 99. "Celebrate" Sloth Appreciation Day by giving out free anti-sloth balloons to passers-by. 100. Introduce him to your "invisible" pet (which is obviously just you doing a bad ventriloquist act), who then proceeds to insult him in the most unacceptable manner. 101. Read him a list of 101 reasons to love Dr. Sloth, most of which are either repeats or bad jokes (or repeats of bad jokes), and which ends with an anticlimactic self-referencing sentence. Here lies the end of the list. I hope you enjoyed reading it as much as I enjoyed writing it, I mean, erm, as much as I enjoyed the food at Grundo's café while conducting the interviews. Because I definitely did not come up with any of the items on this list. That would just be absurd.